For several years the company LUFUSSA and the non-governmental organization Honduras Outreach Inc. (HOI), of American origin, established an strategic alliance to to take care of the inhabitants of several communities in the southern region in needs, including healthcare, agriculture, nutrition, education, Christian training, trade and infrastructure, as a part of an integrated approach to community development. Honduras Outreach Inc. has been identified by the Honduran government as one of the five most effective NGO’s working in the country. In 2014 HOI was awarded the prestigious “Francisco Morazán” award, the highest honor awarded in the country, delivered by President Juan Orlando Hernández in recognition and gratitude for his dedication to the health and well-being of the people of Honduras. During the year 2016, the volunteer force of LUFUSSA and brigades of HOI built together 2 latrines, 3 constructions with bathroom , they installed concrete floors in 7 houses (polished cement floors) and 2 eco-stoves in the communities of Guanacastillo, El Tambor and Aguacaliente, in the southern part of the country. Also they made the donation of more than 50 complete sets of bedding to the regional Hospital of the South, which are already used to shelter the relatives of the internal patients who come to this hospital center from other neighboring communities. This year, 2017, during this month of July, both institutions continued making a more safe place for the communities close to the energy generating plants of the company LUFUSSA. In the village of Guanacastillo was carried out the internal and external painting of the Basic Education Center (CEB), two study places were built, conditioned an stage for events of the educational center, and built the roof and facade of the board; 90 new desks were delivered, thus solving 100% of the need for local school furniture, favoring more than 300 families. Volunteers from Hoi and LUFUSSA built the roof and façade of the Center for Basic studies of the Guanacastillo community, Choluteca. In the community of Pavane Center 21 families were favored with the construction of concrete floors in 8 houses, 5 latrines, 4 batteries and 4 eco-stoves. In the drum, another community in the same sector, 15 families received benefits for their houses as the construction and polishing of concrete floors in 6 houses, built a latrine and 6 batteries for the storage of water. 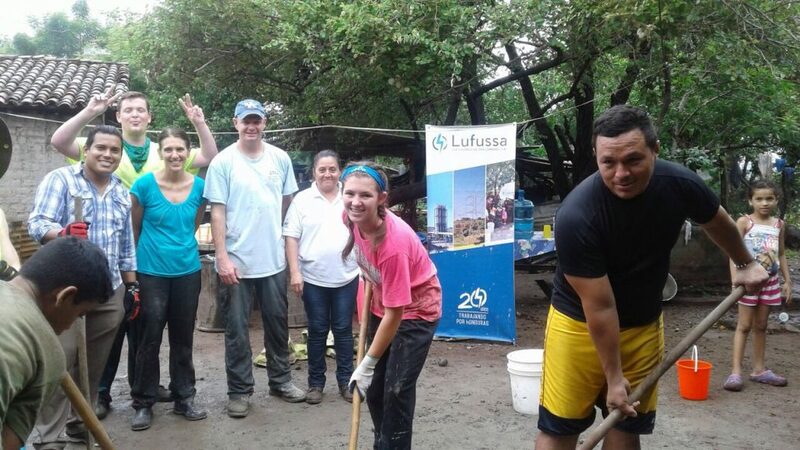 All these actions, which promotes LUFUSSA in alliance with Honduras Outreach Inc. (HOI), are achieved thanks to the commitment of the founders of LUFUSSA, the brothers Schucry, Luis and Eduardo Kafie, and the volunteer force of both institutions, committed to work together to improve the quality of life of Honduran families.